Kayla Xu (11) is one of the two news editors for Volume 27 of The Voice. 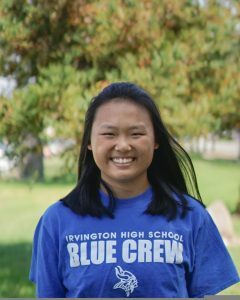 She joined The Voice staff as a socially awkward sophomore and will be starting her second year on the team as a socially awkward junior. Outside of taking interviews, writing articles, and making layouts, in her free time Kayla also enjoys watching way too many Asian dramas and listening to music until her ears bleed.